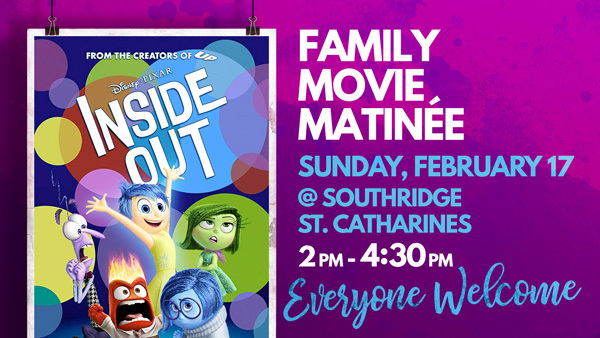 In celebration of Family Day, Southridge will be hosting another Community Family Movie Matinee! Invite your friends, neighbours, and relatives to come and enjoy a great family movie* with snacks, treats and a load of fun! Join us at the St. Catharines Location on Sunday, February 17 at 2:00pm. Everyone is invited and everything is free! *This movie is rated PG.